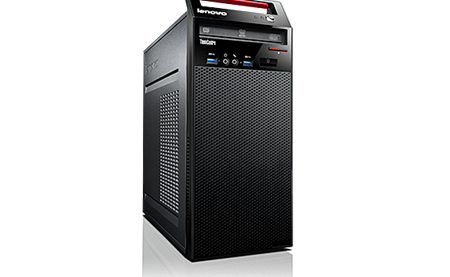 The power to run the toughest business applications combined with legendary Lenovo build quality and reliability make the E93 your first choice small business desktop PC. Configure your E93 with a Solid State Drive for fast boot times and rapid data recall. Alternatively you can choose a Solid State Hybrid HDD (SSHD) which provides SSD-like performance at lower cost. The E93 offers some of the best security tools available in the industry, including USB ports disablement to help prevent data theft while BIOS and HDD password functionality will secure your data against unauthorized access. The E93 also enhances physical security with features including optional cable lock a padlock loop and a chassis intrusion switch. Enjoy rich screen resolution and vivid graphics with optional NVIDIA® or AMD Radeon™ discrete 3D graphics cards. It doesn't matter what kind of monitor you want to connect the E93, configure your system with an HDMI port and you can guarantee the best audio visual experience. With 802.11 b/g/n WiFi connectivity and optional Bluetooth® 4.0, you'll be able to connect seamlessly with your network and other devices. You demand a lot from your system and Lenovo Services is here to help you stay productive. By-pass basic troubleshooting support with direct access to advanced level technicians to resolve issues quickly. 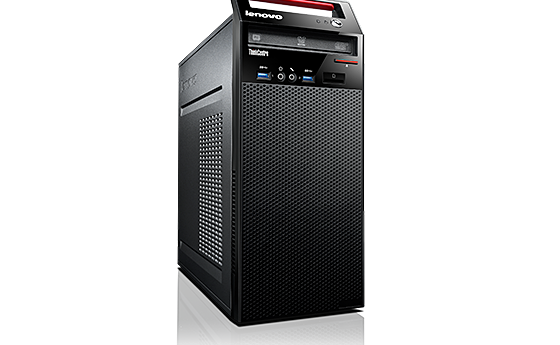 Add Priority Technical Support to your ThinkCentre E93.